Properties in Canada average 4.6 out of 5 stars. Property 21: One bedroom with Space, comfort and location 150 meters to lifts and Village. Property 22: Parksville Retreat - Warm Water, Sandy Beach, Forest Walks! Property 24: Looking for peace and quiet? This is the right place for you to unwind. Property 27: Beautiful 2 Bedroom Townhouse, close to the village, and hiking/biking trails . 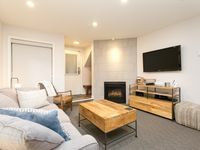 Property 29: Whistler Village North, 1 Bedroom Townhouse, Great Location!! Property 32: Whistler two bed Townhome steps to lifts shuttle on 1st fairway of best golf! Property 36: Lovely 3 Bdrm Condo With Breathtaking Mtn Views, Close to Everything!! Property 40: Whistler Two Bed Townhome steps to ski lifts and village! Best location! Perfect getaway - would stay again in a heartbeat! Rating Details: The property manager was very helpful. The vacation rental was spotless. I was very happy with the location. I was very satisfied with the condition of the vacation rental. Overall, I recommend this vacation rental. Reviewer Comments: Absolutely loved this property. Clean, newly renovated, beautifully decorated and convenient location. Would 100% stay again and recommend. Nice condo unit, roomy and good location. 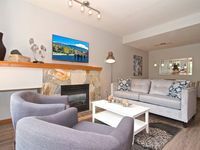 The condo unit is very nice and has everything you need, only a few minutes walk to Whistler Village Center. One thing needs to mention is the bed sheets, pillows and blankets need a major cleaning, they have odors even my granddaughter can smell it.